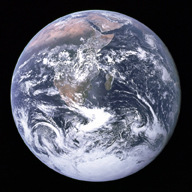 Senator Gaylord Nelson (D-WI) organized the first Earth Day on April 22, 1970, to bring political awareness to a grassroots environmental movement. Forty years later, climate change has become the hot-button issue of the 21st century. With President Daniels’ recent pledge to reduce greenhouse emissions 50% by 2025, Johns Hopkins University is positioned to become an institutional leader in environmental sustainability. The Sheridan Libraries, with the support of Winston Tabb, Dean of University Libraries and Museums, have already implemented several programs aimed at reducing our own footprint. Sheridan Libraries are also looking toward the future, planning long-term solutions that reflect our ongoing commitment to the environment. For example, the new Brody Learning Commons will be LEED Silver Certified. We will also be launching a pilot deployment of thin client computing devices, which on average use 85% less energy than standard PCs. What inefficiencies have you observed around the library? We’d like to hear your ideas about what further steps we can take—both short term and big picture—to become better environmental stewards. Please share your comments below. I like that we have a bin for battery recycling in the copy room on M-Level. I do bring in my used batteries from home so they may be recycled.